Packaging Re-design to keep the brand fresh and ahead of customer expectations. 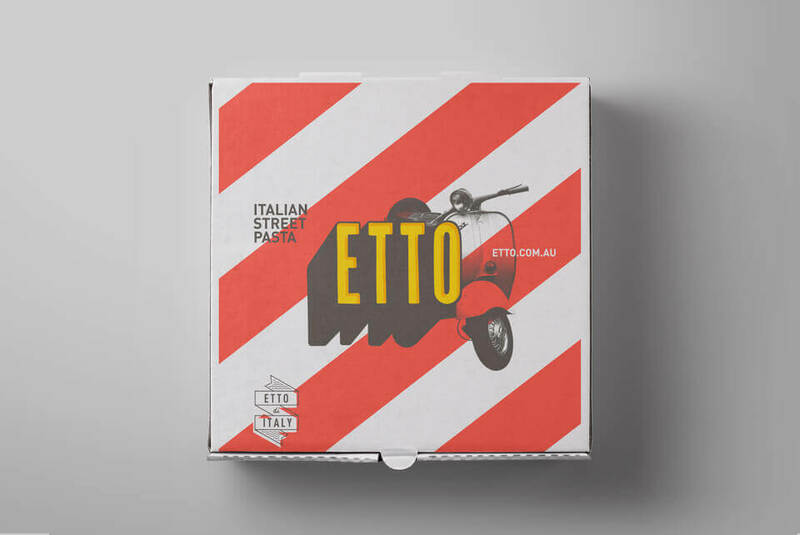 Etto Pasta is a fast growing chain of pasta bars located in Melbourne and part owned by Truly Deeply Founder; Dave Ansett. 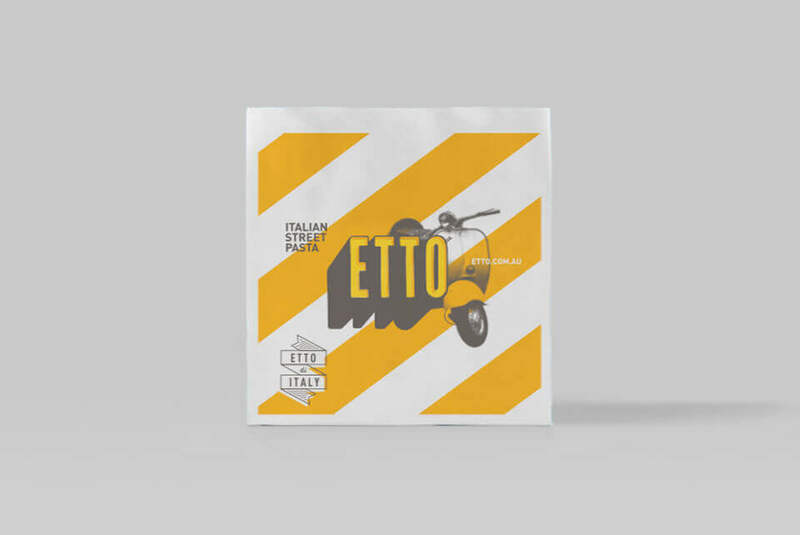 Etto is all about your choice of fresh pasta (made every day in each fresh casual restaurant), matched with delicious and wholesome sauces inspired by the food regions of Italy. 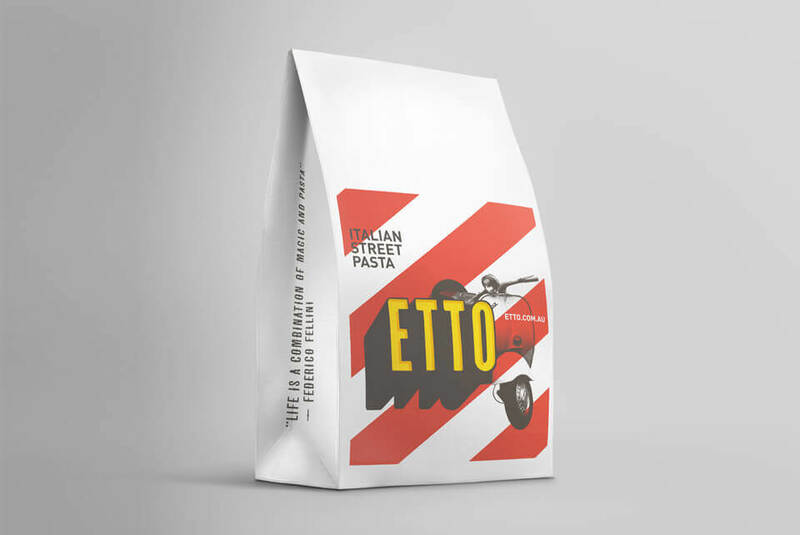 Since the launch of the first Etto Pasta Bar four years the business had evolved and grown in confidence about who they are and their brand personality. With that confidence came the opportunity to redesign and expand the suite of take away packaging to reflect their market positioning, stay ahead of customer expectations and keep the brand fresh and up-to-date. 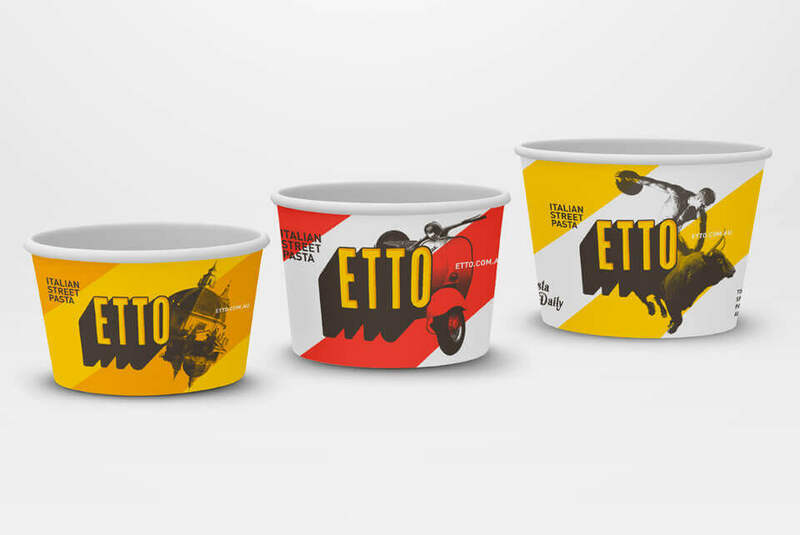 The challenge for the packaging re-design was to keep a strong sense of the Etto brand identity, to improve on the functional ‘eatability’ of the take away pasta containers and expand the packaging range into smaller take away bags and branded foil lids for the Mac-n-cheese products. Starting with the brand colour palette’s striking yellow we promoted the secondary red colour to equal primary status and introduced diagonal stripes. We then collected together the tool-kit of brand visual elements including street style photographic imagery, brand quotes and symbols. These elements were scaled and shuffled across the range of packaging designs to create a matching suite where no two were the same. The print specifications allowed for three colours, and given the brand mark has two of those, we worked to create a suite of colour variations within those restrictions. 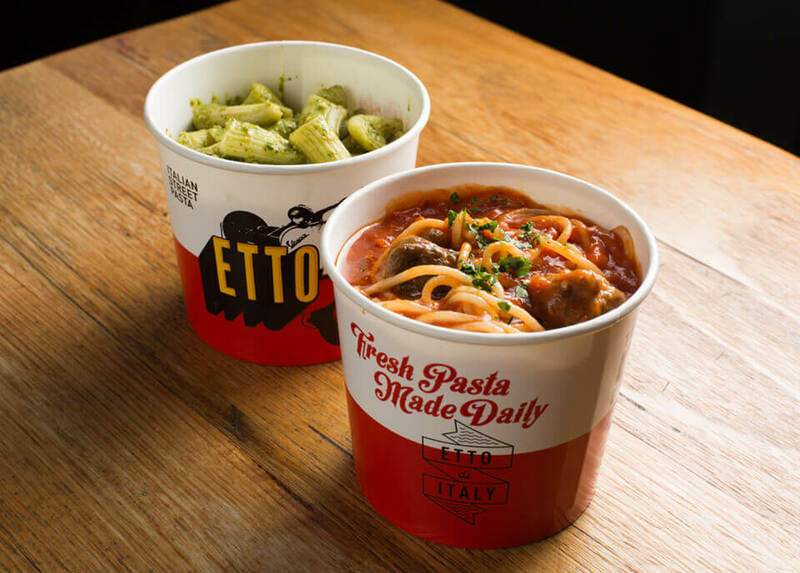 For the take away pails we sourced a wider diameter, lower profile container than transforms the eating experience into one more similar to a bowl of pasta. 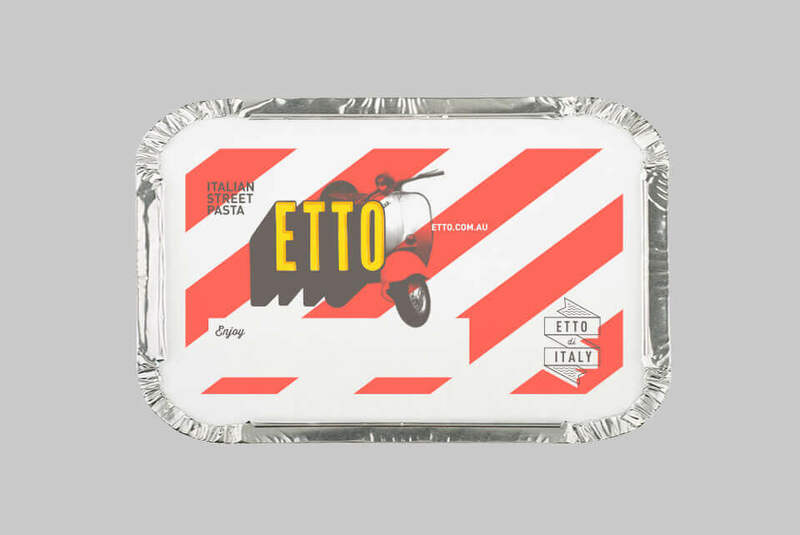 Stephane Meyer, Founder Etto Pasta Bar.